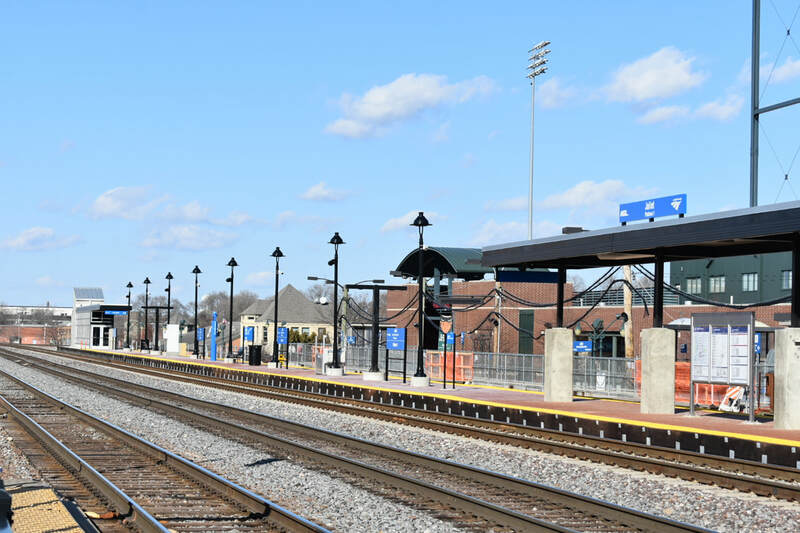 Even though the original Joliet Union Station no longer serves as a passenger station, the city is still is a major rail passenger hub with frequent commuter and intercity passenger train service. 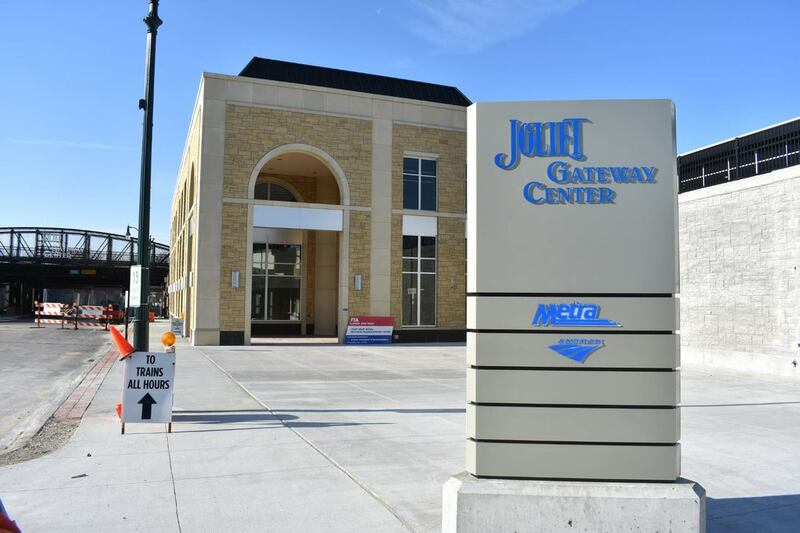 ​The new Joliet Gateway Center is now open for railroad passengers, with an entrance a 90 W. Jefferson Street, at Art Schultz Drive, across from Joliet Route 66 Stadium. 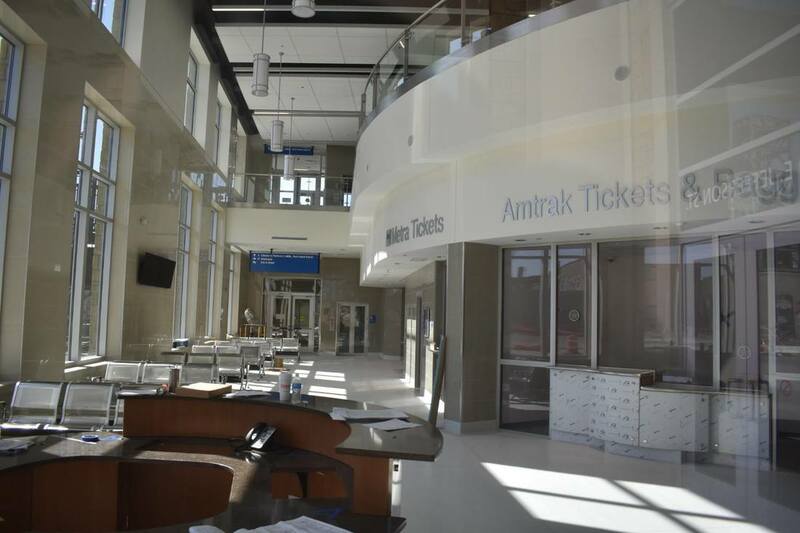 The new building provides a waiting area, and ticket offices for both Amtrak and Metra. Signage directs passengers to the appropriate platforms and stairs and elevators provide access to the boarding areas. 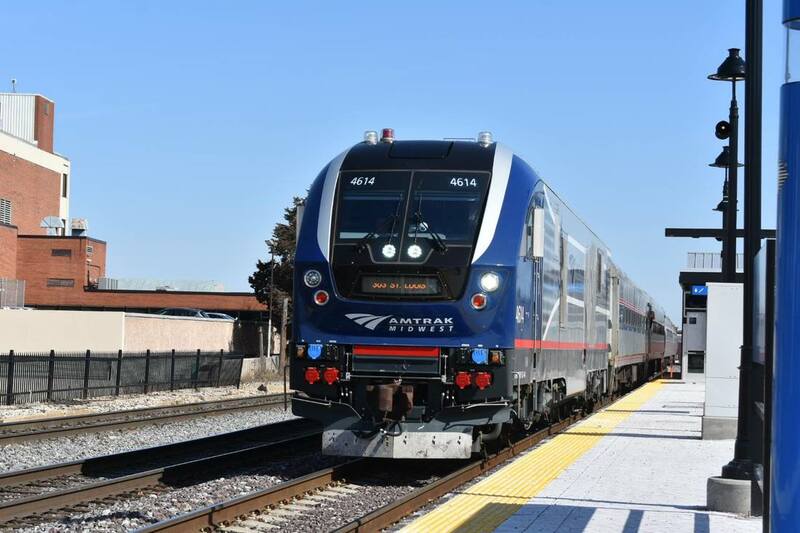 Unlike other suburban Chicago stations served by the national passenger railroad, Amtrak sells tickets for trips between Joliet and Chicago. An Amtrak agent is on-duty from early morning to mid-afternoon. There is no checked baggage service. Trains load on the platform located north of the new station building, up at track level. Access to the platform is available through station building, and through an entrance on Clinton Street, north of the depot -- follow posted signs for directions. Elevators and stairs provide access to the loading platforms. The Rock Island District provides frequent weekday service, along with every two-hour service on weekends and holidays to and from Chicago's La Salle Street Station. Rock Island District trains use a new platform east of the new station building, running between Mayor Art Schultz Drive and Eastern Avenue. Elevators are available in the station and on the far east end of the platform. 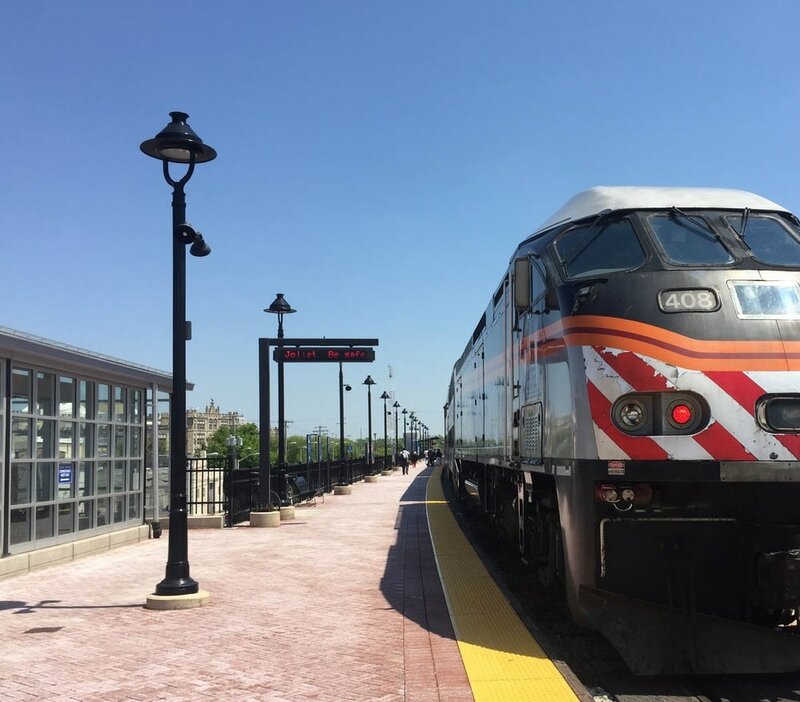 The Heritage Corridor runs weekday-only rush hour service with three trains to Chicago's Union Station in the morning, a mid-afternoon trip to Joliet, and three trains returning in the evening. Heritage Corridor trains use the Amtrak platform described above. 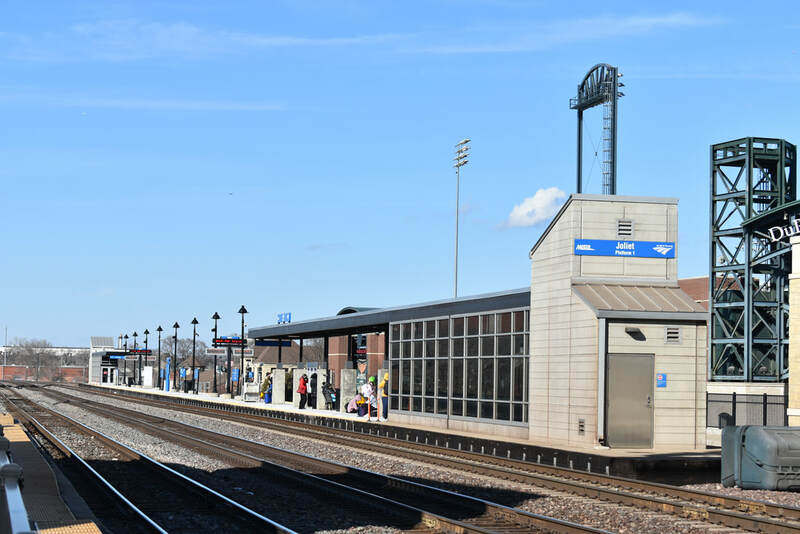 ​Metra's ticket office is in the new station building on street level between the Rock Island and Heritage Corridor platforms. A ticket agent is there from early morning to midday. There is an extra fee if you buy tickets on the train when the agent is on duty.